Push the base of our cute Janie the Giraffe to make her dance! Our classic wooden push puppet is brightly hand-painted with a long neck and soft brown ears. Just push your thumb under Janie’s yellow base to make her wiggle and collapse. 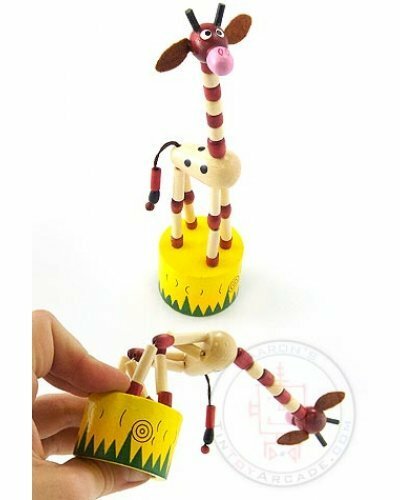 Release your thumb or finger and the magic giraffe pops upright again. 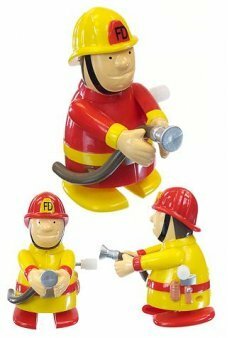 Collect all of our cute Push Puppet toys and put on a Springtime puppet show! 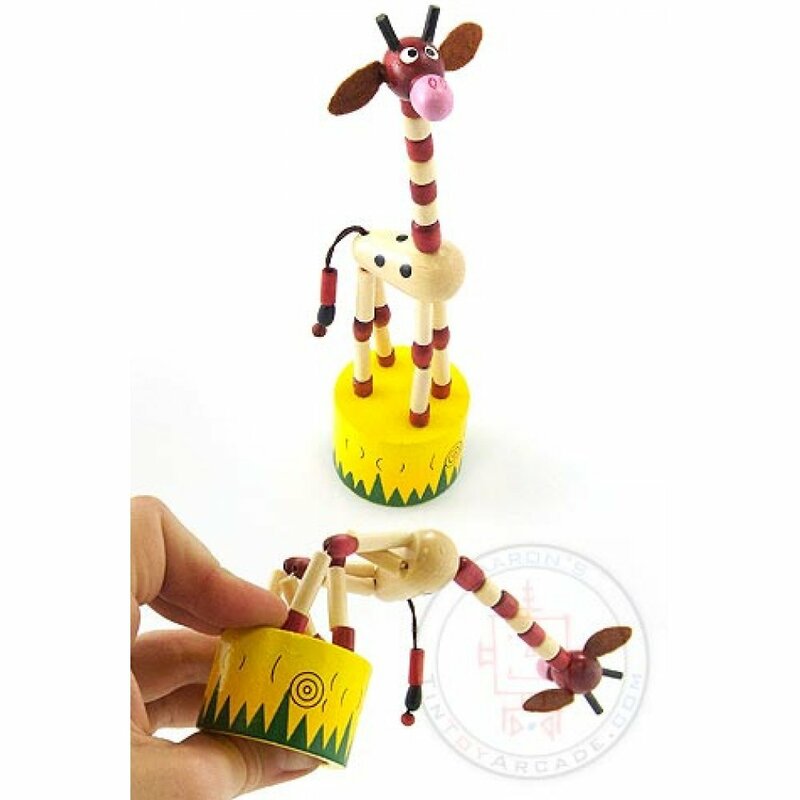 Type: Wooden Giraffe Toy - Hand Painted - No Batteries Required! 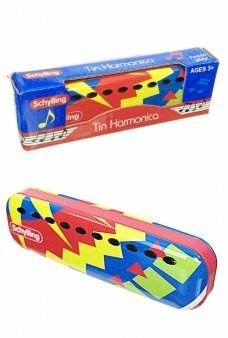 Our brown and silver tin toy Pop Pop Hut Boat uses an actual flame and candle to heat the "boiler" a.. Throw the original Frisbee by Wham-O. 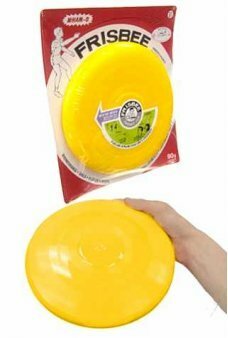 Our vintage yellow flying disc is just like the 1957 edition i..